5) Lynn is mentioned in ‘Shoestring Soldiers’ the 1st Canadian Division at War as taking part in the defence of Gravenstafel Ridge 22nd to 23rd April 1915, awarded the Military Cross London Gazette 14th January 1916. No published citation but an award for Ypres April, 1915. 6) Mentioned in Despatches London Gazette 1st January 1916 (FM Sir John French) and London Gazette 28th December 1917 (FM Sir Douglas Haig). 7) Edison Franklin Lynn died in Hampstead, London in 1960. “I did appreciate the cable of congratulations from the Hydro on my ‘Mention in Despatches’ of F.M. 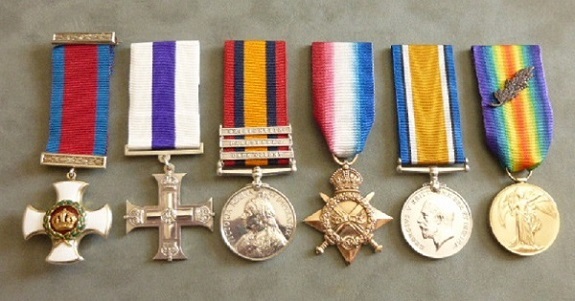 Sir John French, and my being awarded the Military Cross,” writes Lieut. E. Frank Lynn to Major W. W. Pope, secretary of the Ontario Hydro-Electric Commission. All came as a real surprise, and when I wear my new decoration I will wear it for my sappers, for to them all honor is due. At all times, under most trying circumstances, they have been keen and steadfast, ready for anything in any place. The country is mostly flat, and when it is flat, it is very flat indeed. We have tried many new ways of getting rid of the water, but making it run down into the enemy trenches gives us most enjoyment. The enemy came out one night and dammed our big ditch which took care of the water from four square miles. This backed the water up in our trenches. Then with a party of fifty men with shovels, we made the ditch deeper between the dam and the enemy’s front line. We were protected by men with bombs. When all the men were in we set guncotton in the dam and fired it. The rush of water was music to our ears. Fritz had wet trenches and much pumping for days after”. Major E. F. Lynn gets D.S.O. 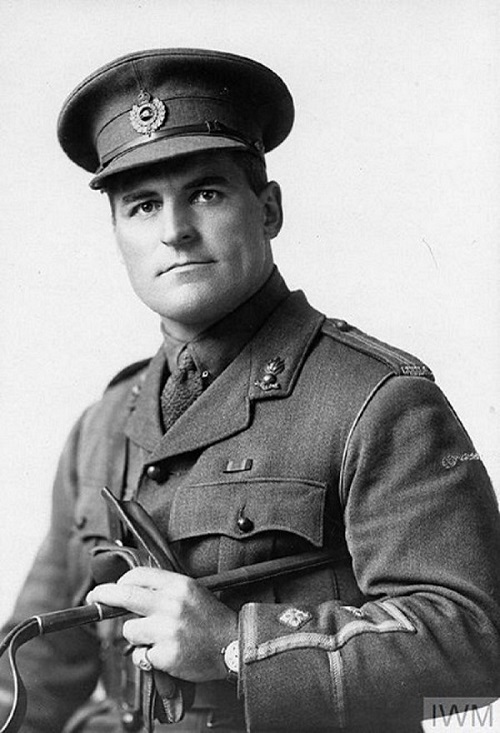 The Major E. F. Lynn mentioned in the New Years Honours list as a winner of the D.S.O. Is Major E. F. (Frank) Lynn of 200 Grace Street Toronto. 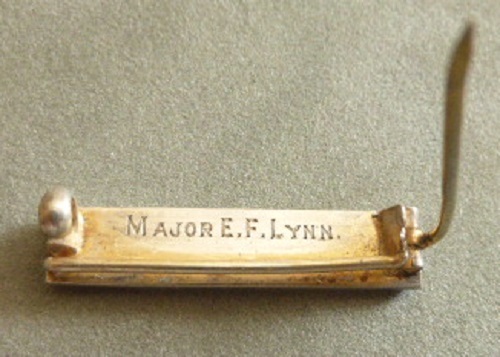 Major Lynn went overseas with the first contingent as a Lieutenant in the 2nd Field Company Engineers. In January 1916 he was awarded the Military Cross for distinguished service the previous year in Ypres, Festubert and Givenchy. He is at present O.C. Of 2nd Field Company Engineers with which he left Toronto in 1914. 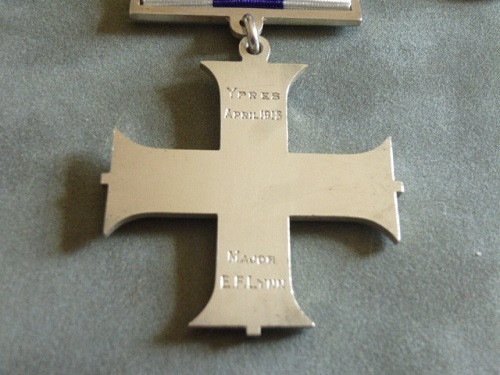 Major E. F. Lynn adds the Distinguished Service Order to the Military Cross which he had already won. Major Lynn is a Civil Engineer, left for Valcartier as a Lieutenant in August 1914. While attached to the 2nd Field Company Engineers he carried out many difficult operations with great skill and bravery. Distinguished Service Order London Gazette 1st January 1918. No published citation but an award for Hill 70 15th August 1917. Haig ordered Sir Arthur Currie, who in June had been placed in command of the Canadian Corps, to launch a frontal assault on the city of Lens. Instead of attacking the heavily fortified city directly, Currie, after studying the ground, convinced his British superiors that a better plan would be to capture Hill 70, directly to the north. If this dominating hill could be taken, the Germans would have no choice but to counterattack. Currie planned for artillery and machine-guns to smash these German concentrations, thereby weakening their hold on the entire sector. The Canadians attacked on 15 August and captured many of their objectives, including the high ground. They then held their positions against 21 determined German counterattacks over the next four days. Canadian probing attacks against Lens on 21 and 23 August were unsuccessful, but Currie’s forces had inflicted severe casualties on the enemy and gained the high ground overlooking the city. The Canadians lost more than 9,000 soldiers at Hill 70, but killed or wounded an estimated 25,000 Germans. Currie proved an able and innovative commander. His Canadian Corps would soon move north to help Haig and his faltering Passchendaele campaign. Diaries containing miscellaneous entries for 1916 – 1918 (376pp, 377pp and 380pp including addenda), together with five notebooks (196pp, 147pp, 151pp, 151pp and 113pp) containing additional, mostly more detailed, ms descriptions, for the periods 1 April – 30 August 1917, 15 September – 31 December 1917 and 11 January – 31 December 1918, written during his service on the Western Front with the Canadian Expeditionary Force, initially as a junior officer in the 1st Field Company Royal Engineers, 1st Canadian Division (March – November 1916), as an Assistant Field Engineer on Corps duties (November 1916 – February 1917), in the 2nd Field Company RE (January – March 1916 and, as commanding officer, February 1917 – May 1918) and in the 2nd Battalion Canadian Engineers (as second in command, May – December 1918) covering the Battles of Second Ypres (April – May 1915 see Vol 2 pp75 – 91 for vivid reminiscences), Mont Sorrel (June 1916), Flers Courcelette (September 1916 including brief references to tanks), Arras (April – May 1917), Third Ypres (October – November 1917), Amiens (August 1918) and the Canal du Nord (September 1918) and his Battalion’s subsequent progress through Belgium after the Armistice as well as service in Cologne as part of the Army of Occupation. ON the afternoon of Thursday, April 22nd, 1915, two battalions of the 2nd Canadian Brigade facing north-easterly were holding the Gravenstafel Ridge. Two companies of the 5th Battalion were on the right. At that time known as Tuxford’s Dandies, the 5th were a blending of hard-riding contingents from the mounted regiments of the Canadian West. In this war they had to fight dismounted, being thereby condemned to a measure of immobility which they chiefly exhibited to the regret of the Germans. On this occasion the 5th were blocking the important high-way which runs from Roulers through St. Jean and Fortuin direct to Ypres. Continuing their right flank in trenches curving southerly were the 28th (Imperial) Division. Two miles easterly and in easy view lay Passchendaele, which was not in that year of the war a name to quicken Canadian pulses; in fact was of no more significance than a hundred other village names. There is much likeness amongst villages in Flanders and it is not often given to the soldiers who pass through or billet in them to foresee their celebrity. St. Julien lay a couple of miles to the right rear, and all the 5th might have noted would be the squat-built, shell-mauled church spire which the apparently more favoured Highlanders in the village itself could view, as they had viewed a dozen others in as many other villages, from the windows of an estaminet. Yes ! they are much alike, these villages, with their churches, estaminets, and solid houses with inevitable and in-sanitary courtyards,  and yet some of their names will have a permanent place in Canadian history. On the left of the 5th the 8th Battalion joined up with the 15th Battalion of the 3rd Brigade ; and on that pleasant, sunny afternoon there were few in either battalion that suspected what it might cost to prevent their being put asunder. At this stage of the war the Canadian division had been but lightly blooded. They had heard from comparative safety the then unprecedented gunnery of Neuve Chapelle and Hill 60. But not in their own persons had the ” Originals ” experienced that hurly-burly of devastation which was to become not the exception but the regular grammar of this war. The malice of nations was but beginning to exploit their mechanical resources. A certain amount of explosive hardware was understood to go with the army, but reliance was placed on enduring bodies inhabited by stout hearts. Moreover, there were believed to be rules of civilized warfare and forbidden as well as permissible weapons and deeds. Humanity had not yet learned that the Sermon on the Mount had been re-placed in German thought by Clausewitz’ great book on war ; or realized what it means to have a whole nation repeating to itself day by day and year in and year out the pet maxims of Clausewitz : ” War is an act of violence pushed to its utmost bounds,” and, ” In war the errors which proceed from a spirit of benevolence are the worst.” At any rate, not till that April day did the world learn that a Kaiser of the Germans had robbed Caesar of the Borgias of his toxic laurels. In those days our soldiers reconciled themselves with difficulty to the idea of a congested warfare where a brigade will perforce content itself with a quarter of a mile front and dig in several fathoms below the surface and make for itself a labyrinth of crooked trenches with a multitude of lethal devices. The experience of South Africa with its wide extensions and the habit of taking the rifle seriously had developed a contempt for shoulder to shoulder formations. Every man felt that he himself could block a wide lane and he had the ancestral confidence of the archer who vaunted that he carried twelve men’s lives in his quiver. So it was with no trepidation that the 5th and the 8th Battalions held the gate on a front of twenty-five hundred yards, in trenches which, compared with the massive field fortifications of a later period, were fragile and precarious. When word was sent back by Lipsett, its commander, that ” the 8th Battalion can hold its bit,” it was a boast that the men made good. But it was modestly meant. For neither he nor his men could have dreamed of taking delivery in such quantities from both shell-founder and chemist. Besides, had not the brigadier the 7th and 10th Battalions ready to support them? So nobody doubted they would keep Gravenstafel Ridge. Thus the afternoon wore on until 5 o’clock with the usual comfortless routine of the trench and with the men crouching in alert confidence. Now it had become a sort of unwritten etiquette at the front not to display unnecessary valour or make unauthorized demonstrations. It was considered the badge of the new-comer to cause an outburst of fire or, as the saying was, ” get the wind up.” Officers and men guilty of such laxity of discipline did not endue themselves with heroism because of their exposure to shrapnel and whiz-bang, but felt like mischievous boys caught robbing an orchard. So when the dogs of war were let loose on that Thursday afternoon every group of Canadians had the conceit that they were riveting to themselves the attention of the German High Command. Thus the officers of the 5th accused themselves on the mere strength of their frisking about the open fields near Colonel Tuxford’s headquarters, playing a briskly contested game of polo. But it was soon perceived that what was coming over was not a desultory favouritism to any group; there was enough for every-body. First came a flight of shells numerous as the migrating swallows. This proved no passing shower, but, reinforced by the normal heavy batteries (corresponding to our 6-inch guns) and then by the monstrous ” Jack Johnsons,” a continuous and terrific downpour, not only in front, but from both left and right. Our men then learned for the first time how slender and inadequate the trench preparations that they had taken over and strengthened were to meet the real hurricane of modern artillery. Practically the militia out of which the 1st Canadian Division were recruited had some training in how to scoop out a row of riflemen’s shelters, with a general notion of how to deepen and enlarge them into connected trenches. They had never got so far as the paragraph which relates to communication trenches. It was fortunate for our men on this April occasion that they had previously occupied trenches built under the supervision of British engineers; otherwise they might have accepted as sufficient without amendment the flimsy erections that had lately been taken over from the French. They at least knew that these were not sufficient. But on the whole the idea still prevailed that field fortification was a grudging and temporary concession. If they thought at all about the difficulty of bringing reserves into the support trenches and sup-ports into the front line, they were more reconciled to the danger of running the gauntlet than to the labour of building communication trenches. The shell storm of this battle brought the sorrow of increased knowledge. Trenches grew ragged and lost shape and seemed bit by bit to melt into the surface of the ridge. All the previous casualties of the campaign began to be re-enacted for these battalions every half-hour. There was no better security in support or reserve than in the front line. Night, which in former calculations was relied on for movements of reserves, brought no relief, but rather a complexity of danger. Companies sent to reinforce, when crossing the open ground, which was lighted by the flares and towards morning by the moon, sometimes lost more than companies holding the ground. On this occasion the Germans drove their first wedge on the afternoon of April 22nd between the French Colonials and the Canadian division. Proceeding further on the same psychological path, they found a junction between the Canadians, whom they despised under the general designation of ” Colonials,” and the 28th (Imperial) Division. Here at about 1.30 Friday morning the German infantry assaulted twice from the north-east and from the east near Broods-elude. The cement was too strong. Rifle-fire assuaged the force of these assaults. The 8th Battalion, as shown on the accompanying sketch, were posted in a very irregular formation following the undulations of the valley of the Stroombeek, which at that season of the year was practically dry. There was a gap of three hundred yards between the right of D Company and the end of the 5th Battalion, which lay to the right rear. This gap was defended by a detached post and by Sergeant McElrich and two machine guns situated between Nos. 14 and 15 Platoons, from which point he could rake the front to left or right. Two more machine guns under Lance-Corporal Munro, posted near the left of A Company, covered the front in that quarter. D Company headquarters was in rear of its No. 13 Platoon and was used as a convenient distributing point for orders, as about five hundred yards in its rear lay the battalion headquarters of Colonel Lipsett. C Company lay in reserve in some shallow trenches somewhat to the right of the line from battalion head-quarters to the front. Calamity began to threaten the 8th Battalion. Whiffs of tear gas had been coming across for some time and exasperating the already angry troops by making them show symptoms of a pity they did not feel. The first intimation of the horrible atrocity in-tended to involve themselves was when a few Highlanders blundered into the left of the trenches and died horribly in the agonies of asphyxiation. Then their own share was delivered. It was some time between 3 and 4 a. m. of the Friday morning when a corporal who had just brought in a listening patrol and was watching from the parapet saw a heavy mist break out of the German line about a quarter of a mile to the left. Then immediately it belched out all along the line and there came rolling slowly with the wind what a German professor in an ecstasy of ghoulish glee called the ” mysterious terror of this uncanny greenish wall.” It moved up to the parapet and monstrously heaved itself over into the trench, where it caught the men just as they were ” standing to.” In a moment they were coughing, gasping, strangling, nearly blind, their faces contorted, and their bodies wilting in agony. Time and again the Germans jumped upon their own parapet, yelling ferociously, and thrice more did they attempt to pass over. Their warlike shouts carried no panic across to the Canadian line. Twice in their rage the 8th disengaged themselves by going over the top with the bayonet, not only clearing their own parapet, but chasing the broken assailants past their own line. Numerous bodies in No Man’s Land testified that the way was barred by the low-flying bullets of men whom Bernhardi had despised as militia. ” They can be completely ignored,” he wrote in 1911, ” so far as concerns any European theatre of war.” Ignored they might be; outflanked and liable to be enfiladed they appeared to be ; and gassed they were. But they could not be brushed off Gravenstafel Ridge. The reinforcements the men were expecting did not come. Not only did they lack the thundering strokes of the 7th and 10th Battalions; but of the two reserve companies of the 5th, one was diverted to the left, the other, C Company, reached the reserve trenches of the 8th,  all that could come up,  about twenty-five men under Lieutenant Fitzpatrick, who, after exhausting all possible versatility in the means of de-fence, fell operating a machine gun. The rest of the company bore witness that in that salient it was some-times more fatal to be in reserve than in the front. The edge of the gas cloud passed to the north of No. 16 Platoon and involved No. 13 Platoon slightly, and B and A Companies with increased density of the poison. McGregor’s company of the 15th were wiped out the few that could get away breaking in the direction of the 8th Battalion’s headquarters. It was now evident to Colonel Lipsett that the Highland salient to his left was crumbling down and that it was for him to choose whether to retire his battalion or make a new left front, or, as it used to be called, ” re-fuse his flank.” He chose to hold his original line and add to it the line of McGregor’s trench now occupied by the exultant Boches. To accomplish this, C Company, under Captain Bertram, left the reserve trench and went across to reinforce A Company, by this time badly enfiladed and much depleted by casualties. Lieutenant McLeod, with a platoon of the Reserve Company, accompanied by that devoted remnant from the 5th Battalion, inclined to the left and at the point of the bayonet cleared the nearest trench of the 15th Battalion and held it. But other and large groups of Germans, who had burst through further up the line, turned to their left and began to work in rear of the trenches towards Lipsett’s headquarters. To check these, the survivors now reduced to thirteen  of that 5th Battalion contingent dug themselves in in a detached trench facing left. The German flanking parties hit this like a sunken reef and recoiled and dug themselves in parallel to it, thus investing it with earthworks. These 5th men remained in post until the evening of the Saturday, when in the darkness they quietly slipped out. Thus the commander of the 8th Battalion ventured to make good a precarious position and the men, by their steady intrepidity, justified his hazardous decision. This was the first step in the rise to fame of a commander who later on as a major-general in command of the 3rd Division enjoyed a reputation second to none in the Canadian Corps. England has not always been happy in the men sent to represent her in her Dominions and Colonies; but in lending Lipsett to Canada she made a selection that redounds to the sagacity of her Army management. His firmness was concealed under exquisite approachableness. His great personal activity was combined with the sort of courage that made him want to see things without the medium of the buzzer and the dug-out roof. When this curiosity of the first-hand general ultimately led him to the inevitable sniper’s bullet, it is no empty saying that no officer lost by Canada in the whole war was more regretted by the men he led. Saturday was a bitter day for casualties, and there was no respite. About two o’clock Colonel Lipsett sent a message half order to withdraw and half appeal to stay  to prepare to withdraw to the ridge by headquarters, but could they hold on until dark? He knew his officers. D Company officers and McLeod of C Company and Captain Morley of B reported they could. They did. Before daylight on Sunday morning the 8th were relieved by the 8th Durhams but not all of them. D Company remained in their trenches, and with them some ammunition carriers from the 10th and 7th and, of course, some stragglers from the insatiable 5th. Sunday forenoon was undisturbed except for a German assault on A Company’s sector, now held by the Durhams. The Durhams were equal to this. In the afternoon D Company of the 8th came in for trouble from all quarters. On their right the Germans had dug a sap trench from their front line, pointed for the long gap between the 8th and 5th. Along this they tried to swarm around D Company’s flank. McElrich’s machine guns sent them scurrying home. About 4 p. m. other swarms of Germans appeared to the left front of No. 13 Platoon in a patch of what our men called ” mustard,” but which was really second-growth turnips. This attack was intended to co-operate with a formidable bombing attack that was proceeding from the left rear. But our rifles and machine guns spoke first and cleared the ” mustard ” patch. The bombing attack was, however, too successful. The bombing parties, starting with the trench formerly retaken by McLeod, cleared the trenches of the Durhams bit by bit until the left flank of No. 13 Platoon of the 8th was exposed. Whereupon Captain North-wood, the company commander, ordered the platoon commander, Lieutenant Owen, to take his platoon out. Owen led his men out, saw them on the path to safety, and then returned to share the fortunes of his company commander. Eventually the remnants of this adhesive company were taken prisoners. Captain Northwood, Lieutenants Owen and Bell, with the whole formidable array of Nos. 14, 15, and 16 Platoons –about thirty men in all. At the time when Lipsett’s battalion were relieved the 5th were also ordered to be relieved. But the immobile 5th were precisians in the matter of retirements and required a written message  delivered by the less disabled of two badly wounded officers before they would withdraw. Currie put in again the relics of his brigade to share the brunt. When on being relieved a second time he drew out his force, he might well have said of it, as did the Spanish general when asked of a certain regiment, ” Expended ! ” later owing to the intensity of barrages. Major Robson, in command of that part of A Company to the left of the main road, conformed to his movement. The greater part of A Company, together with the company commander, Major Tenaille, were on the right of the road. On receipt of the message Tenaille acted very deliberately and concerted measures with the British troops on his right so as not to expose their flank; and his own withdrawal co-ordinated with the operation of the 28th Division. On Thursday evening, April 22nd, the 2nd and 3rd Battalions 1 had been summoned to divisional head-quarters at Brielen and then proceeded on a night march across the canal and reached the vicinity of the St. Julien road near Wieltje, when their commanders reported to General Turner at the 3rd Brigade head-quarters. They got orders to take up positions and entrench, the 3rd near Wieltje and the 2nd about half a mile further along towards St. Julien. The line of the Canadian front at this time (between 11 and 12 p. m.) ran from St. Julien past 3rd Brigade headquarters and was thicker where the 10th and 16th were forming to attack St. Julien Wood. It was continued by part of the 14th, which was on the right rear of the 16th, and by Geddes’ detachment, which was taking up a position further to the left. Behind this front line the 2nd and 3rd took post as reserves. Enduring the usual experiences of the reserves at that period, the 3rd remained in this position with A and B Companies in advance and C and D in support behind them until about 4 a. m. of the 23rd, when orders were received by ‘phone from headquarters to send two companies in haste to hold a line from St. Julien to the wood. Acting in accordance with this order, C and D Companies, under Major Kirkpatrick, took the road to St. Julien and swung to the left up a lane that branches off to the north-west from the edge of the village. Deploying off this route into two lines, these companies, D on the left and C on the right, proceeded to make an attack, according to the then most approved tactics of open warfare, across the unwooded country between the wood and the village. What the attack lacked in artillery support was made up in gallantry; and the line was pushed forward a considerable distance and a position secured in some shallow trenches believed to have been formerly occupied by the French. The enemy having proceeded to dig in about one hundred yards away, the two companies again attacked and occupied this further position. Now always between the Staff and the battalion (and especially the company) officer there is a natural and perpetual antagonism in all ways of thinking. Says the Staff officer, ” Report on this “; thinks the battalion officer, ” I have something better to do than writing reports.” Says the Staff officer, ” Your men have acted riotously “; says the company officer, ” My men are angels.” And nowhere is this difference in thinking more manifest than in the stricken field. Says the battalion officer, ” Is that the enemy in front? Then me for him, ding-dong! ” Then comes message from the Staff ” How are you connected on your left? ” or, ” You must maintain touch on your right.” Well, every yard the two companies had made across the open was in the very teeth of destruction, said teeth being called shrapnel, high explosives, machine gun, and rifle. Officers and men went down and by 6 o’clock that morning the survivors looked on the results as one gazes on a long day’s work. It was an advance worthy of any troops in the Empire. But every yard won had widened the gap between St. Julien and the right flank of C Company until now this gap was getting big enough to pass a deployed battalion  several hundred yards of gap. So along about 9.30 the Staff, not unappreciative of good fighting, but still thinking of connection and touch, sends a message to Major Kirkpatrick. To dig in and hold on was simple, and, as Clausewitz says, ” the simple is none the less difficult.” But the other part of the order was neither simple nor easy. So Captain Streight let loose Lieutenant Jarvis, who had already that day shown resourcefulness in breaking up a nest of snipers, and who now volunteered to take his platoon and make the connection with St. Julien. Accordingly Jarvis and his men proceeded to cover the ground and run the gauntlet of the German snipers by crawling on their bellies towards St. Julien. At regular intervals they planted a rifleman as one would drop seed  after the fashion of a certain Greek who planted dragon’s-teeth that sprang up armed men. But Jarvis’ supply of dragon’s-teeth ran short before he covered the gap to the village. So he proceeded alone and reported himself and his tidings to Colonel Loomis. Now Loomis of the 13th at his headquarters was much worried and, as it were, waiting for the roof to fall in. Three companies of his battalion were in the most perilous predicament imaginable ; the remaining company he had sent to their aid. The situation on his right was more than precarious ; from his left he had no news except the rattle and crash of uncertain battle. He conceived a great admiration for Jarvis’ exploit and lent him all the men he had left about his head-quarters a few pioneers and his orderly room staff in all a dozen. With connection made in this way and maintained somehow, the companies fought on  even made an-other advance and repelled several. But St. Julien was falling and a connecting file with men from five to ten paces apart is not a flank guard. The messages to and fro  reassuring ones from Colonel Rennie and cheerful ones from Kirkpatrick  became less and less hopeful. At 11.35 a. m. on Saturday the companies were holding on nicely. At 12.20 they reported : ” Germans attacking in considerable numbers on our right moving from north to south on St. Julien.” At 12.35 it was : ” I fear Streight’s right flank will be turned. Enemy has secured all front trenches in St. Julien. We will drop back our right flank and hang on.” At 1 o’clock the Brigade Staff (as might be expected, running true to Staff form) sends, ” Do not lose touch with St. Julien. Hang on. A counter-attack is being made on your right.” At 2.03 the companies were ordered to ” retire on general headquarters here.” The platoon on the right was withdrawn first  two unwounded men reaching Colonel Rennie. The next messages came from German prison camps. Shelled all day, repeatedly attacked in front, outflanked on the right, then on the left, surrounded, out of am-munition, and finally overpowered in hand-to-hand assaults, the companies continued the fight until 4.30 p. m., when the wearied survivors laid down their arms amid the compliments of an admiring German officer. We may here mention what became of the battalion which, having despatched C and D Companies on their mission near St. Julien at 4.30 on the morning of the 23rd, became thereby technically, and later, as we have seen, actually the 3rd Battalion less two companies. At 8.30 on the same morning came the order to move two companies (A and and the Machine-Gun Detachment to the general headquarters line of trenches and to the left of the 3rd Brigade headquarters. This latter headquarters was in a vicinity which on some maps of the period bears the cheery title ” Shell-trap Farm.” In this position the two companies maintained themselves with the vicissitudes normal to this battle. They got some relief to their overcharged feelings by industriously sniping parties of the Germans who were passing from St. Julien Wood to various trenches in its vicinity. There was one particular gate through which some of the Germans had to run the gauntlet, and this for quite a few led down into the chambers of death. About 4.30 a. m. on the 24th the enemy opened a terrifie bombardment from the east and north-east of the 3rd Brigade headquarters and the farm began to ac-quire its name. This was no mere flurry. For at 6 o’clock the shelling was still most persistent, like rain that has set in for all day. About this time the Staff began to make preparations for the eventuality of having to hold the general headquarters line and shrink the salient. Meanwhile, as the 3rd did not seem to be doing enough, orders were sent to Colonel Rennie to despatch ten men and two officers to reinforce Colonel Loomis on the Fortuin road south-east of St. Julien. The party under Captain Morrison and Lieutenant Curry duly arrived and fell in with a detachment of the 14th, with whom later they returned in time to escape capture. The position of the two companies A and B was as far as they could judge flanked on the left by about 1,200 yards of open ground without any visible trenches or supports. But there is now a tradition in the 3rd that they were not considered to be sufficiently exposed and that the despatch which Captain Muntz, commanding B Company, was reading when he fell mortally wounded, was an order to carry his company further forward  an order which his death luckily forestalled. Captain Allan, commander of A Company, was likewise wounded, but stayed on duty and lived to command the battalion. On the evening of the 25th the 3rd Brigade was relieved by British troops, but the 3rd Battalion was ordered to remain until other troops came up. This it did until dusk of the 26th, when it was relieved by the Argyll and Sutherland Highlanders. Ordinarily the name of the unit that relieves your own is one of the details of campaigning that dims in the memory with the lapse of days. But the survivors of the 3rd remember the advent of the Argyll and Sutherlands as the most beautiful of actual war-pictures. For without preparation they attacked towards St. Julien Wood and staged the attack with superb and punctilious regularity. The expression ” as if on parade,” sometimes applied to well performed manoeuvres, is no more adequate to convey the picture than would the word ” pretty ” be good enough for Juno the Queen of Heaven. It was marvellous to see these splendid Highlanders spring forward and simultaneously drop, fire, spring up again, and go forward to the whistle of an officer wearing a monocle. Up and up they went, with casualties falling here and there under the fire of the German machine guns, until they had covered half the distance to the wood. Thence, the attack having failed, they retired, leaving more casualties, but not abating one whit of the snap and regularity of their movements. The 3rd stood in their trenches and ad-mired. Yes, because the deed was admirable and even in a cynical world not without a sort of usefulness. For the Germans looking on must have felt the shabbiness of their own new warfare and wondered at the force that could make men die so splendidly. Organized at Valcartier in August 1914 under the command of Major W. B. Lindsay. Majority of personnel from Toronto “Every man taken on at Toronto was skilled in a trade or profession, which included approximately fifty civil engineers”. Embarked from Quebec 3 October 1914 aboard ZEELAND. Disembarked England 15 October 1914. Strength: 8 officers, 233 other ranks. Arrived in France 12 February 1915. 1st Canadian Divisional Engineers. Absorbed by 2nd Battalion, Canadian Engineers in May 1918. With 1st Field Company, published “Sham Hughes” (one issue) aboard ZEELAND. Published “Peevie” (one issue) at Larkhill. Thats an amazing grouping Mike and a great read, thanks for sharing your research too! He has quite the leading man look about him in that pic. 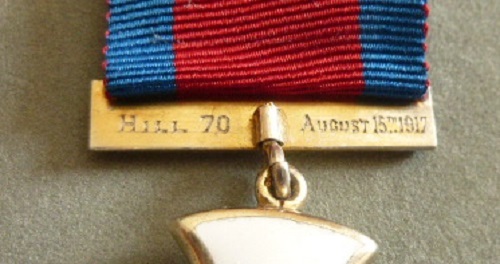 I've never seen a medal engraved with the date and location of earning the award, absent a citation it at least gives an idea of where it was earned. Congratulations on acquiring another on your holy grail list! To say this group is stunning is an understatement. I will be honest, I have not not read every line of the write up, I scrolled down and saw the grouping. That is where my eyes popped out.